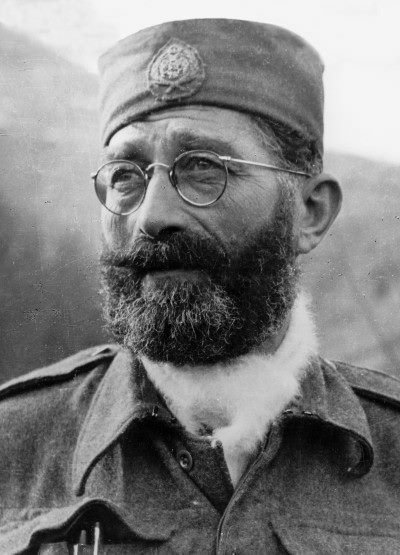 In 1946, the rescued U.S. Airmen banded together to try to attend the Kangaroo Trial General Draza Mihailovich was subjected to by Marshall Tito of Yugoslavia who already so unjustly pronounced him guilty of crimes against the people of Yugoslavia. Luckily for us, the airmen from all over the United States kept a copy of every article that ever appeared in their local or national newspapers and magazines. The capture of General Mihailovich was written about by Stanley Pieza, longtime newspaper reporter. 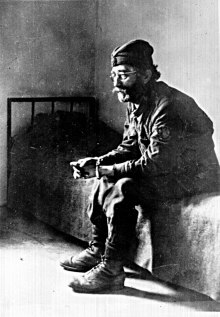 General Draza Miahilovich, Yugoslav hero, now being tried by a Marshall Tito court on charges of treason and Nazi collaboration was kidnapped by airplane by Tito’s Communists who posed as allied officers and friends, it was charged today in an official document. Heretofore, no official explanation had been made of Mihailovich’s capture. The sensational facts of the capture came to light in a document smuggled out of Yugoslavia into France, on to the United States and into the hands of U.S. government officials. 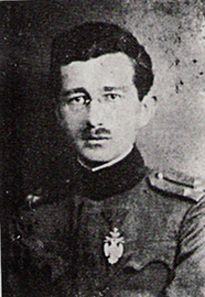 The document states that Tito's followers masqueraded as allied airmen, speaking English and French, came down into Yugoslav mountains where Mihailovich was hidden, and took the sick and unconscious general in a plane under pretense of taking him to Italy for hospitalization. "The supreme command arrived in the region situated south of Rudno on March 10, 1946. We have received medicants for our sick commander, Gen. Mihailovich, from this village. "During one of the movements pamphlets were strewn over the area near Samengjevo, these evidently edited by Anglo-Americans, who informed us they have arrived to aid us with arms and ammunition. "On the following night, some planes reappeared over the area, flying very low. They dropped several packs of arms, ammunition and sanitary supplies so sadly needed, and which were of allied origin. One of the packs were (was) with instructions to designate the sport for landing the planes and how they should be marked and the time. "In the afternoon of March 13, 1946, two planes appeared with allied insignia. Flying very low, they threw out some flares requesting that we indicate the landing spots." “The three officers of the group were led to our staff headquarters and presented to our staff officers. Upon learning of the condition our chief commander, who had a very high fever and was unconscious, they said that they wanted to take our sick commander, Gen. Mihailovich, to Italy for a cure. "We had him placed immediately in a plane in company of our two officers, while unconscious. At the same time, two other planes landed and nine officers, among them two non-commissioned officers, the personal attendants of the general, boarded the planes. Immediately following the take-off of the plane in which our commander was placed, the other planes followed." "These planes dropped small gas bombs, overcoming our troops stationed to guard our supreme headquarters. Then we noticed motorized troops were coming in our direction from the area of Prihoj, which a new group of enemy planes began dropping parachutist troops upon the supreme headquarters. It was then that our troops realized finally that the enemy had employed a cowardly ruse to kidnap our commander. "It was through such cowardly use of allied uniforms, planes, arms and ammunition the enemy accomplished this, which they could not do through combat. We lost between 3,000 and 4,000 warriors. Many of Tito's men were also killed." The report further states that Mihailovich was brought to Sarajevo by the kidnapers, then to Belgrade, without regaining consciousness. He was kept alive by artificial nourishment, the statement said, adding that the general was unconscious for at least seven days. P. 55 of book of newspaper clippings assembled by the National Committee of American Airmen Rescued by General Mihailovich, INC.
Young Draza in WWI, Hero! 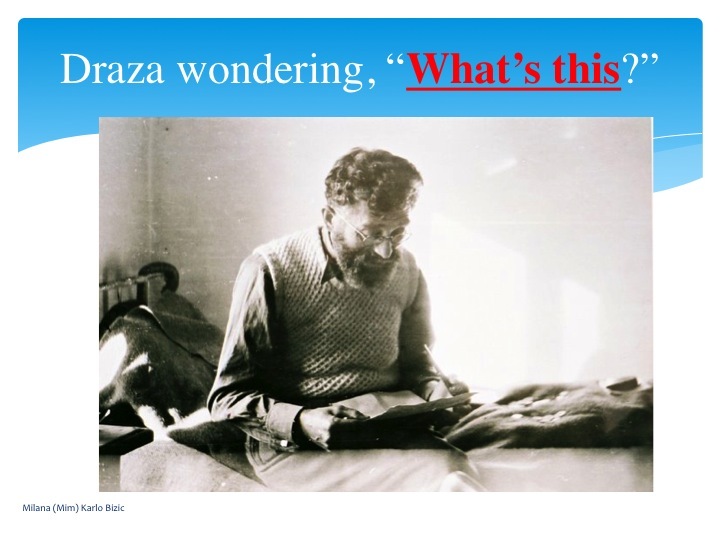 The Draza the 512 Rescued U.S. Airmen knew, besides the 100+ other Allied airmen! 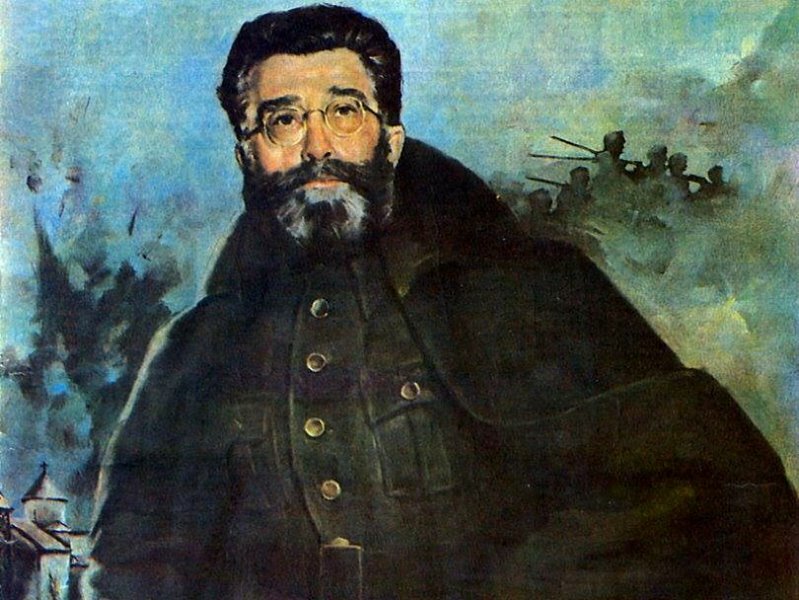 An $100,000 reward is being offered by the Serb National Defense to anyone who finds the grave of General Draza Mihailovich and proves the identity through DNA testing!